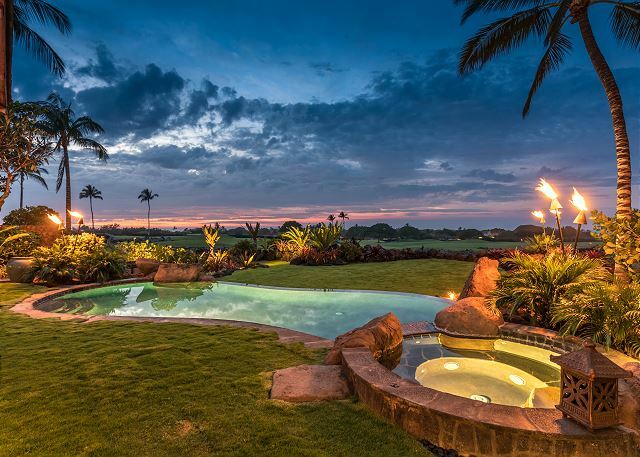 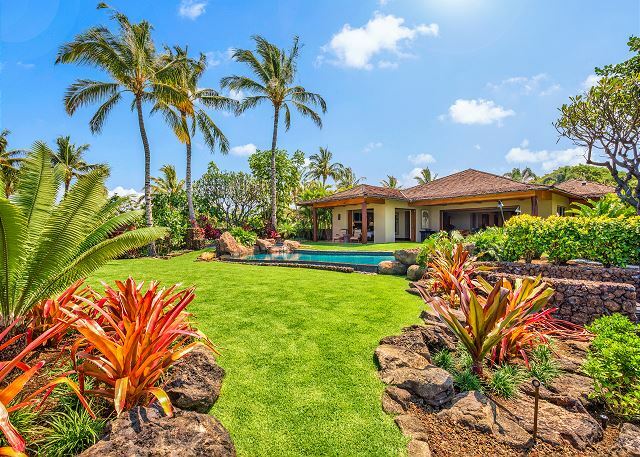 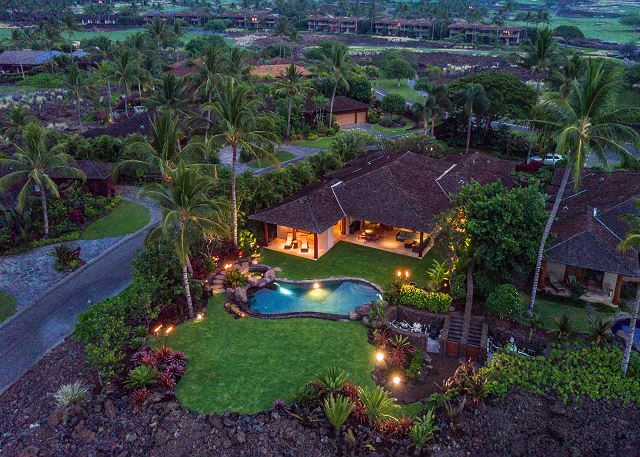 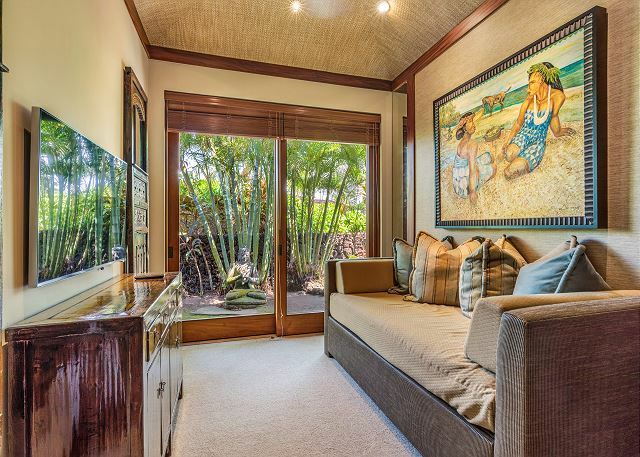 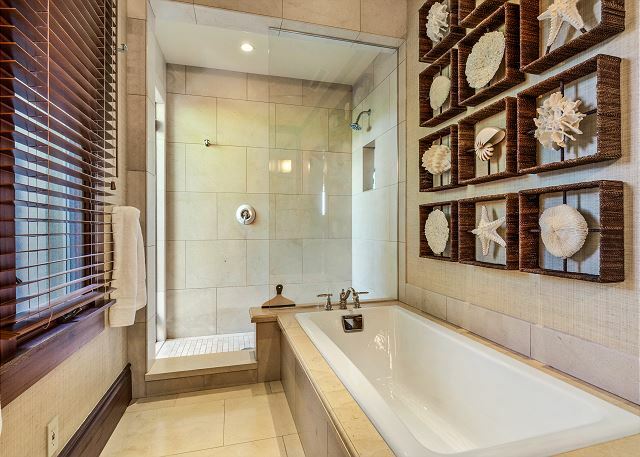 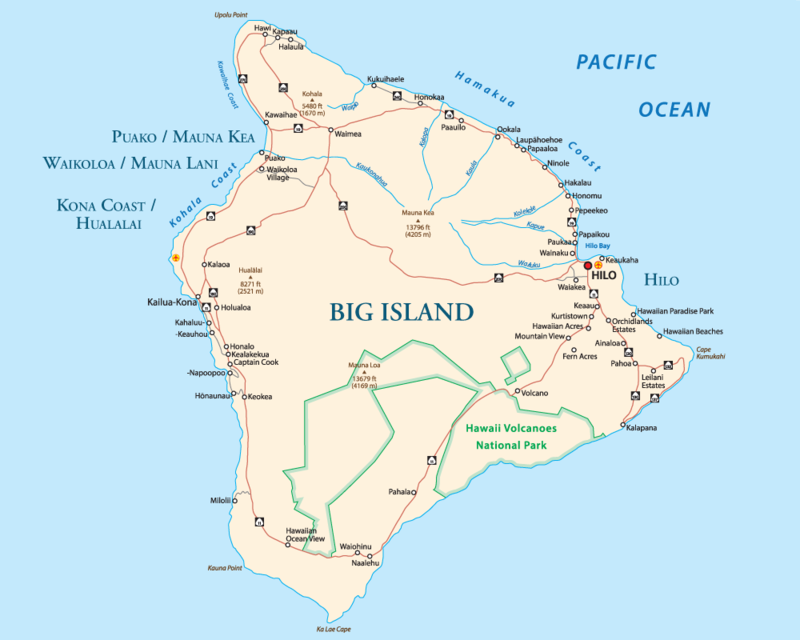 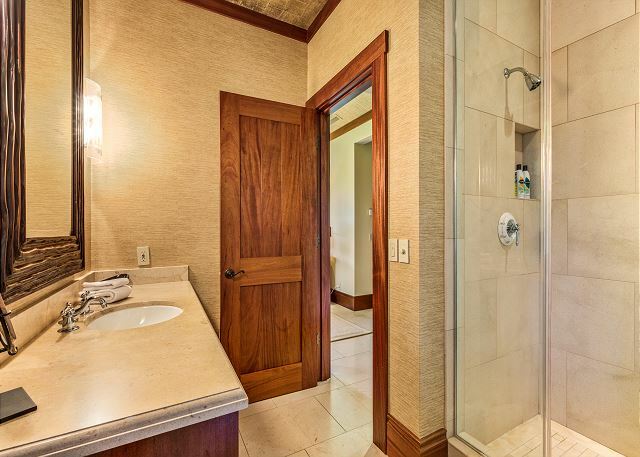 Hualalai Oasis Estate – Luxury Vacation Homes, Inc. 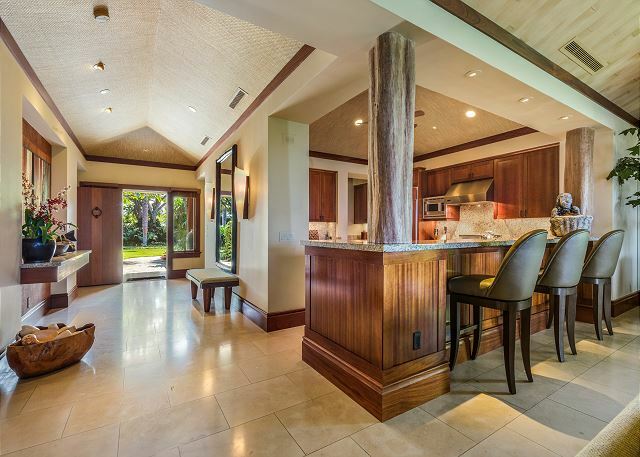 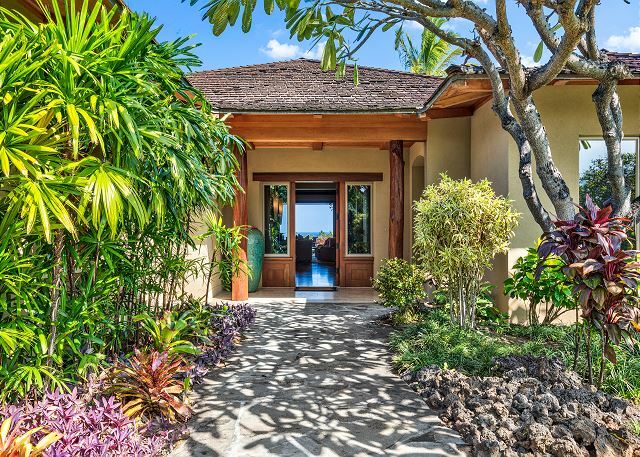 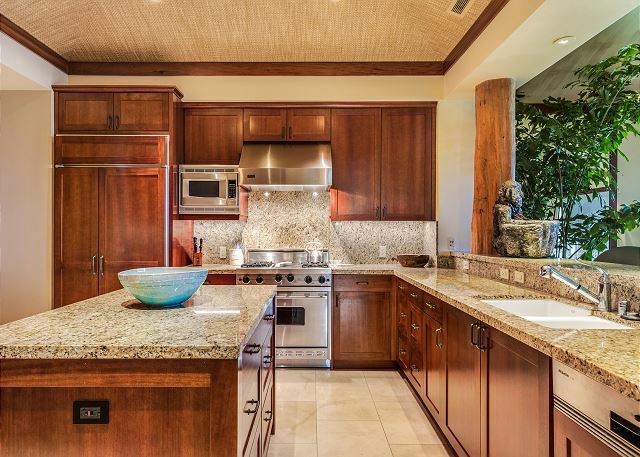 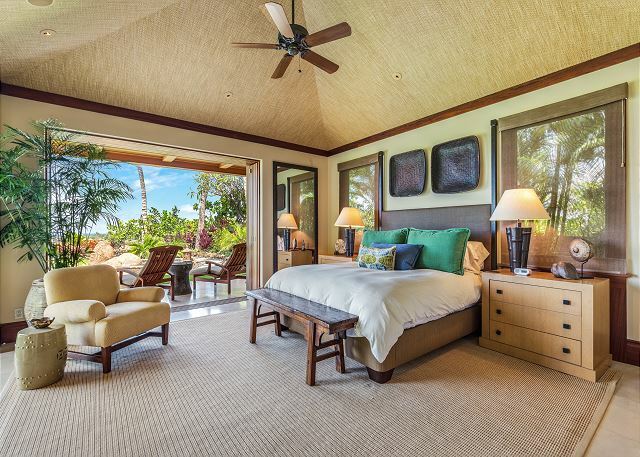 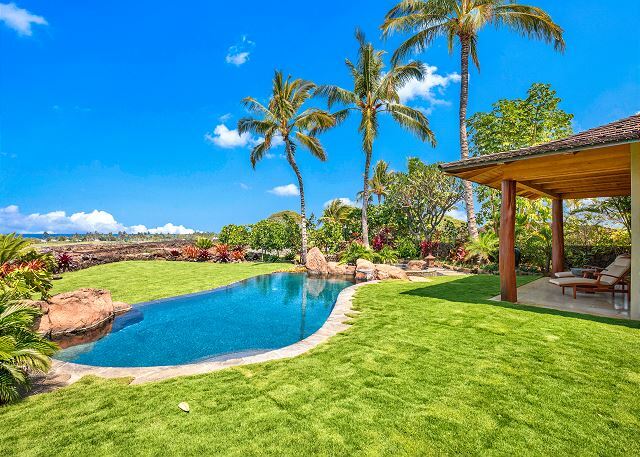 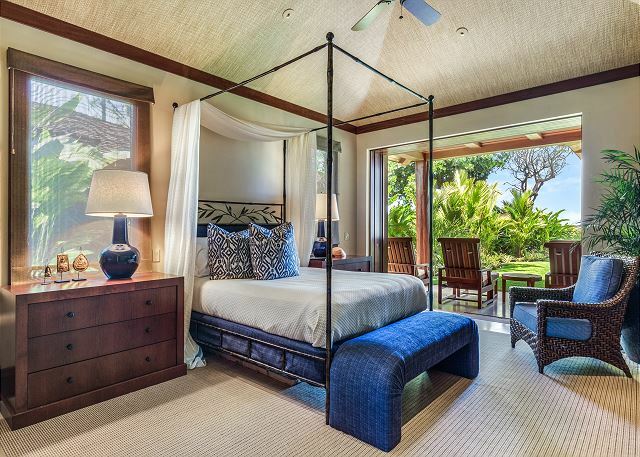 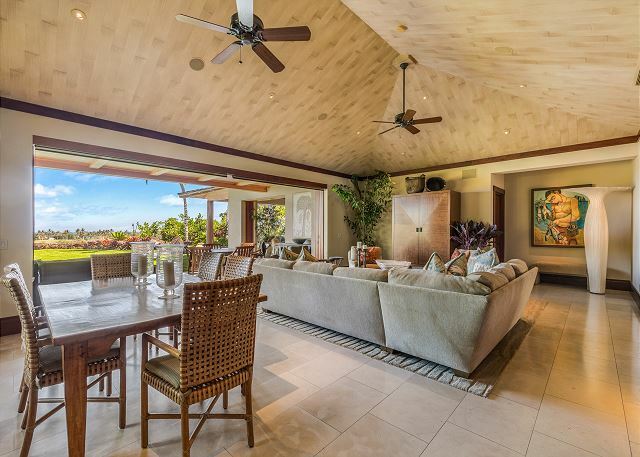 Located in the Award-Winning Four Seasons Resort Hualalai, this gorgeous custom home fronts the Hualalai Golf Course and is close to the Four Seasons Hotel and Amenity Facilities. 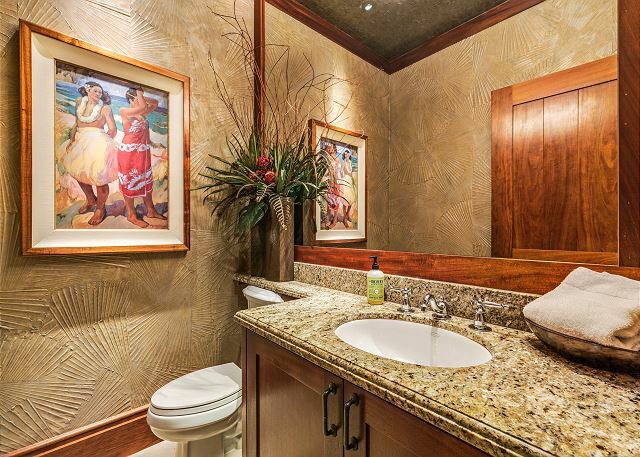 This residence has been professionally redecorated in 2014 by Werner Design Associates of San Francisco. 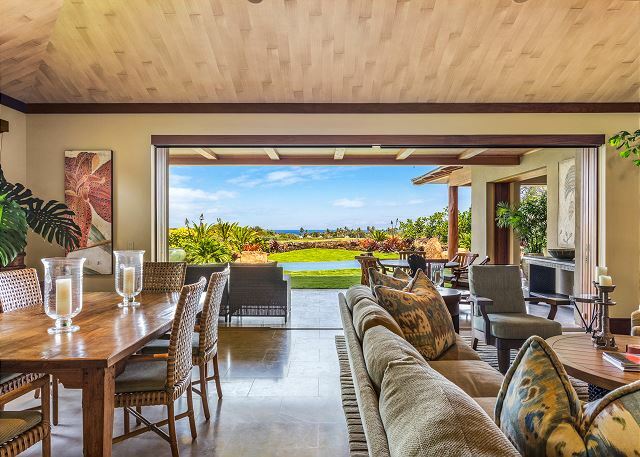 The home features sliding pocket doors that allow the outside to be brought in to the main living space. 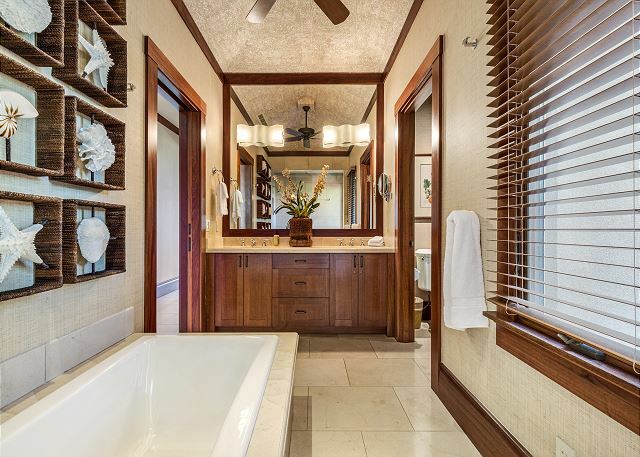 Rich, exotic woods are used extensively in ceiling treatment, custom built-in cabinets and finish trim providing a comforting warmth throughout the home. 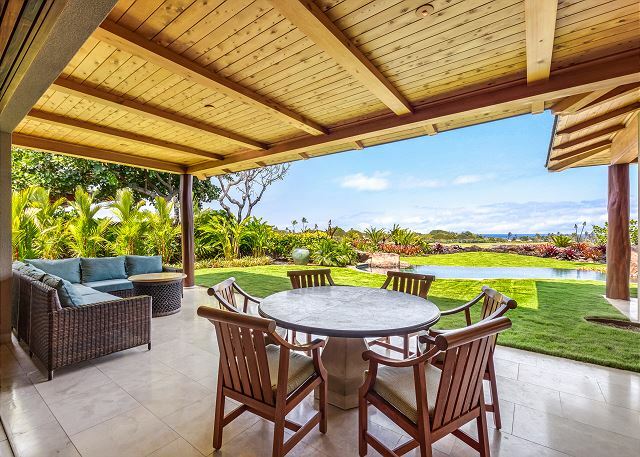 A fully-covered lanai overlooking the private pool, spa, golf course and ocean beyond creates an ideal setting for dining and relaxation. 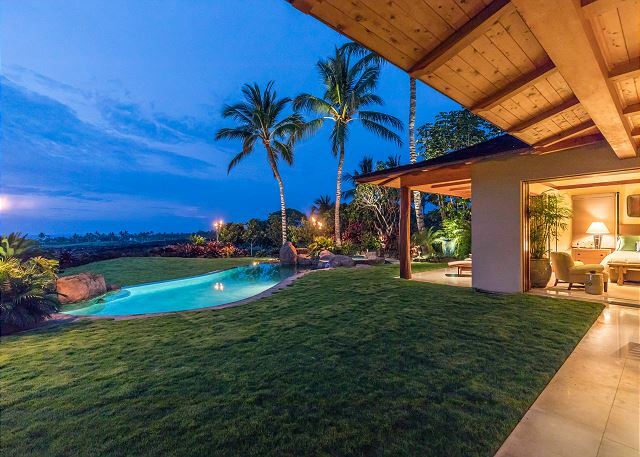 The garden has been redesigned and beautifully landscaped in 2016. 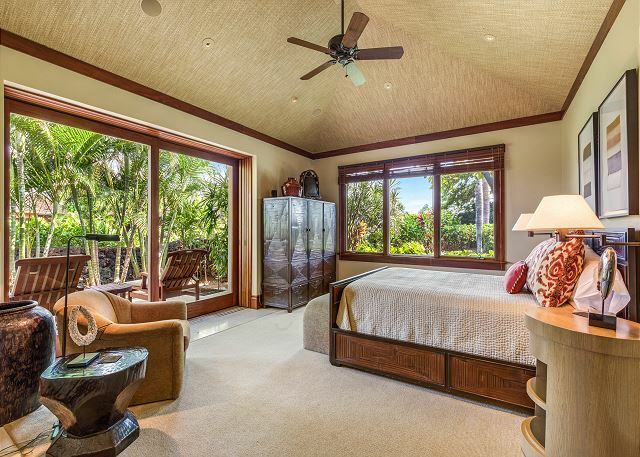 The open floor plan and spacious bedrooms make this home ideal for groups large and small. 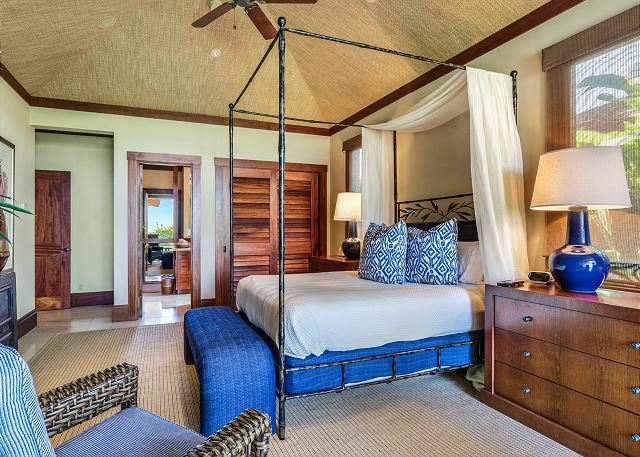 Bedding is ideal for up 6 guests and includes: Master Bedroom with King, Guest Room 1 with Queen, Guest Room 2 (2nd Master) with Queen. 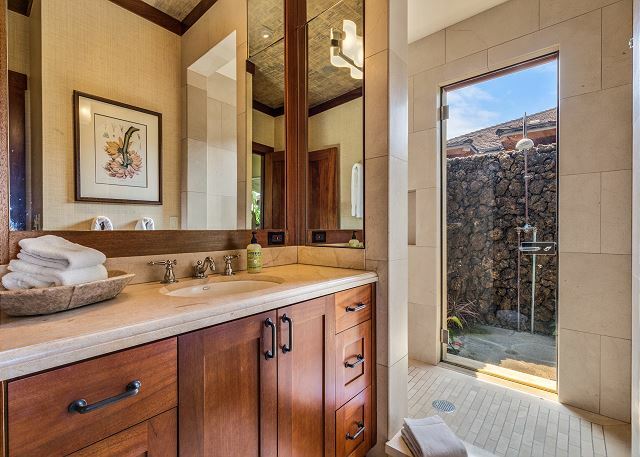 The Master and 2nd Master Bedrooms enjoy an ocean view and outdoor garden showers, a signature of this Resort! 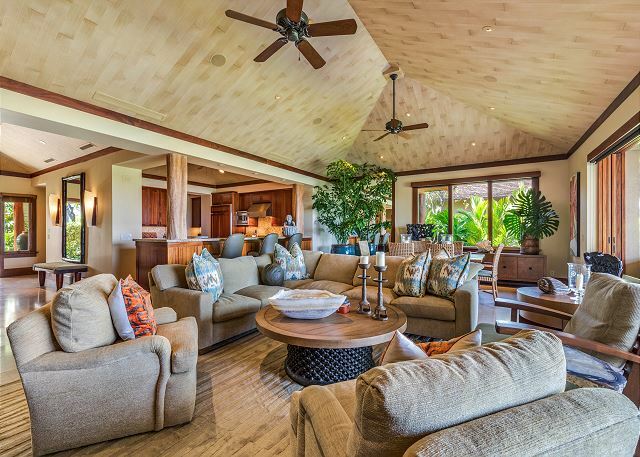 While the home is one of the closest rental properties to the Resort Amenity Facilities, guests will also enjoy use of two owner golf carts for even easier access around the Resort.